plenty left for a family trip? In just 30 days, you can be on that path—permanently. The tight feeling of worry or dread that hits your stomach. If you’re like many people, you’ve felt it at least once in the last month. Maybe you were in a checkout line, nervous about how much you were about to spend. Or paying bills, you felt a nagging worry you might not have enough (even if you have plenty). Chronic worry about money releases stress hormones, tires you out, and puts your health at risk. Plus, your worry actually blocks money (more on that in a second). and it’s slowly killing you. worry that one wrong financial move could ruin them. —for years at a time. I’m Carol Tuttle and in 1995, I was up to my eyeballs in debt. $45,000 in credit cards. No stable income. And I can tell you, that stress and fear took a toll—on my marriage, on my health, and on my ability to be present for my four young children. Making money felt like a lot of hard work without much to show for it. Anxious and depressed, I knew I couldn’t keep living that way. And that’s when I made my discovery. The problem wasn’t in my budget or paycheck or money management skills. The stress (and the solution!) went deeper than that. I found that my energy system sent a signal out to the world—a mindset that money responded to. And my mindset was full of scarcity. In other words, I was energetically blocking money! change the beliefs and perceptions I had. Only then did I experience results. Every time I opened my wallet. Every time I went to the store. Every time money went into or out of my account. When I discovered exactly what to do in those daily experiences, I attracted money to me. Debt resolved itself. And money flowed into my life to take care of my family and helped me pursue my dreams. Once I mastered the basics of attracting money, the next level was even more beautiful. I now have enough money to live on purpose. I never worry because I know money will be there to support me in doing what matters most to me. That kind of abundance isn’t luck—it’s living in balance with money and believing that it will always be there to support you. And I can show you how it’s done. I’ll show you in 30 days. Ever buy something and then feel worried about how much you have left? Or felt your stomach clench when you check your account balance? That worry is energy that deflects money! I’ll help you attract plenty, so you can focus on what matters. I guarantee that you’ve put some sort of limitations on how much money is allowed to come to you. In other words, you’re telling money, “No.” Unless you shift your energy first, you’ll find it difficult to budget, save, or get ahead with typical financial advice. Let’s clear away your blocks. For you, that might mean a family vacation. Or special experiences or lessons for your kids. Or putting your kids or grandkids through school. Whatever matters to you most, money is a tool that can give you options and make dreams easier to achieve. The space you live in daily has a huge effect on your well-being. From buying a home to improving on the one you’ve got, money makes more choices possible. I’ll give you tools to build a reality out of your daydreams. One of my greatest joys is teaching people how easy (yes, easy!) it is to attract money by changing their financial energy and story. We’ll make money work for you so you can be free to follow your heart. Is the 30-Day Money Cure for you? If you’re on this page, I believe you’re more conscious than that. You know that creating money isn’t just about buying more and more fancy stuff. 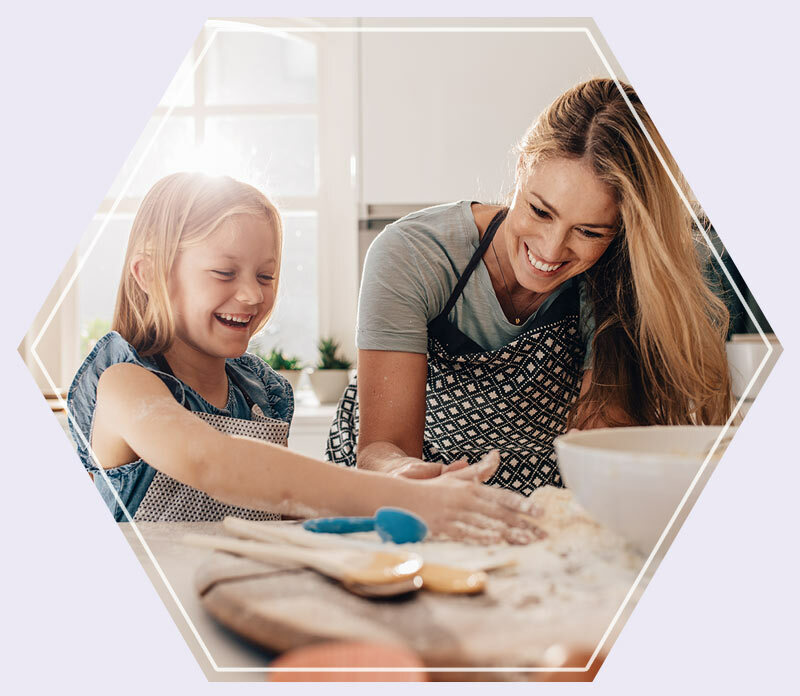 The goal of this course is to help you attract abundant resources so you can actually think less about money and focus on your family, on your dreams, and on your LIFE. Apply what I teach in this 4-week journey, and I guarantee that you will shift your experience of money from one of struggle to one of abundance that will last your entire life. What’s included in the 30-Day Money Cure? This live course starts May 6th.  I will personally guide you through this 30-day online course. I’ll produce an audio training for you each week. I’ll host a live Q&A session to answer your questions. And I’ll actively participate in the private online group for students of this course. When you purchase this course I will support you through your 30-day experience. As your guide, I'll help you shift your energy to attract a constant flow of money into your life. I guarantee that you’re carrying around beliefs about money that hurt you in the long run. We’ll find and remove them. Picture the relief of pulling out a sliver. Money struggles aren’t enjoyable, but they’re familiar—that’s why they stick around. After this week, you’ll see exciting financial options that you didn’t even think were possible for you before. There are 4 Types of people, and they relate to money in 4 unique ways. In this week, we cover all 4 Money Profiles to discover your secret money strengths (and challenges). In our last week together, we tap into the secret money strength of your Money Profile to increase your money flow and accumulation. You’ll also learn about Money Profile combinations to turn your challenges as a couple into strengths. You attract money (and block it) in ways unique to you. In this course, you’ll discover what those ways are. The 4 Money Profiles are based on my Energy Profiling system. 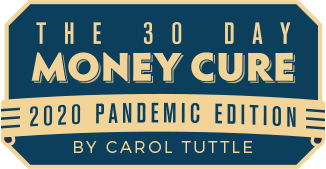 In the 30-Day Money Cure, I’ll give you in-depth guidance for your Money Profile. Time to understand why you don’t always see eye to eye with others about finances. Your Money Profile gives you unique insight into your money strengths and challenges. And this information isn’t available anywhere else. Just knowing this info won’t get you where you want to go. Living it will. To make these principles part of your day-to-day, you need consistent support. I’ll be with you at every step. You'll get support in your inbox once every morning. 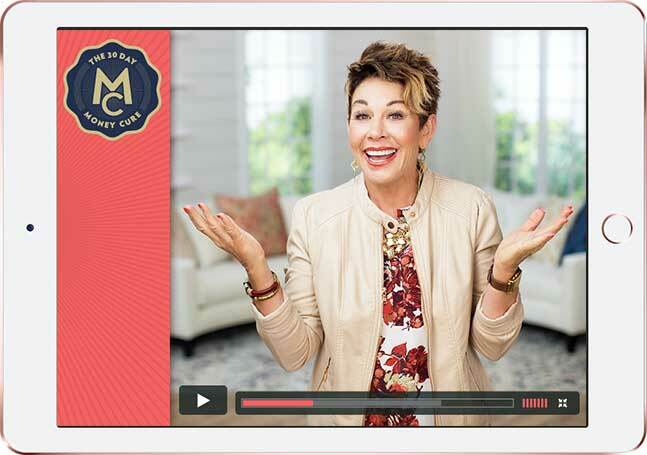 The helpful emails you receive every day of this course include an affirmation and a small daily task to solidify your practice of financial abundance. I’ll be online to talk every week, clearing up any places you get stuck. Send in your questions and join the live broadcast. We’ll work out the issues still showing up and get you cured. As we go through each week, we’ll have stories, questions, and virtual high fives to share. I’ll be active in the online group, along with my support team, so you have all the access you need to succeed. I lived from paycheck to paycheck. I never understood how much I was creating my demise. Now that has all changed. I really trusted you and put it to the test and the results show for themselves. I have started my own business and am seeing more money flow and accumulate than I ever have in my life. Thank you for sharing this Carol. and was stuck in a survival energy pattern. 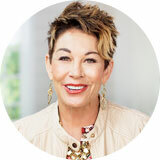 Carol's work empowered me to create a new script that completely transformed my relationship with money. This allowed me to shift into a higher frequency of service energy and gratitude, while creating a new experience where money is now working FOR me. Thank you, Carol! 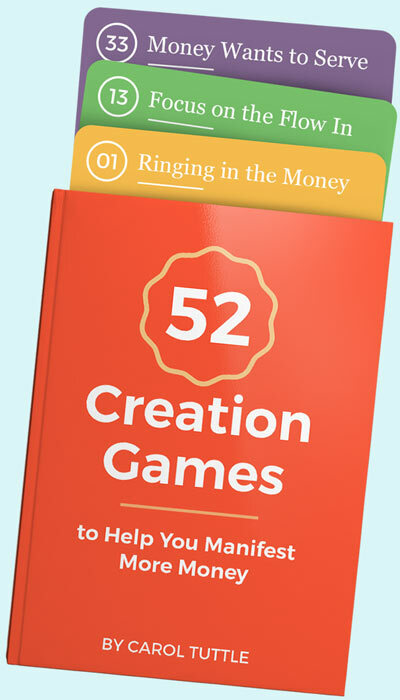 I’ve created 52 energetic games that you can play as you go through your day and interact with money. They draw your attention to flowing and accumulating more money in your life each day. I find great joy in seeing my children thrive financially at a young age. This bonus audio and workbook section help you teach your children what I have taught mine. When one generation changes their energy with money, the generations that follow receive the new vibration, which makes creating financial abundance easier for them. I’m certain that your 30-day experience will change your life (and your bank account). I’ll give you that amount of time to be as certain as I am. If you find this isn’t the course for you, return it in 30 days, no questions asked. Join me for 4 inspiring weeks to become a powerful money magnet. Make one payment and you’re in! your money dreams a reality. start making that budget bigger! That it was humility to be poor. I also believed that I was the exception to the rule of being able to have financial freedom. Now I am enjoying the benefits of having a healthy relationship with money. It is always there to support me and my family never feels deprived. I see now that money is a resource, and like anything else, if used and cared for wisely it will grow and expand and meet your needs and wants. I started a new business last year and it did not do as well as expected which has left us with credit card debt. As I was doing the figure eight [in Carol’s video], bringing in money and giving it out, I really believed it was possible. Later that day my husband came home and said, “The stock market went way up today and I was able to sell some stock”. The amount far exceeded what I ever could have imagined. Thank you for teaching me this exercise. I am now a true believer. Excellent. That means you’ve got a lot going on—and a lot of places to practice what you’ll learn in this course. You can listen to the audios on the go. The live Q&As happen once a week. And the time you spend in the course workbook is relatively short (and so enlightening!) What gets you results is implementing what I teach in your busy life. We’re conditioned to experience money as a difficult struggle! But in this course, we’re not making something “work.” Together, we’ll play and practice to get these principles of abundance into your life. Amazing things will show up! Registration is only open until May 6. When will you offer this course again? Not soon. One of the big advantages I’m offering in this course is my live, personal support. I’ve set aside four weeks to give that to you, but I’ll be working on other projects after that. If you’re considering this course, now is the right time to register and permanently cure your money issues. Sign up soon! Will The 30-Day Money Cure really work? Don’t I just need a raise or a budget? Your experience with money is determined by your energy, beliefs, and feelings about money—your energy or vibration. Unless you are living in an affluent vibration, you can try other tactics, but they won’t stick, even if you make a lot of money. (Some people who make six figures never seem to have any money.) This 30-day process will you get you in an affluent energy so you attract money naturally and other tactics become effective. Consider the possibility that this course is an investment that will pay itself off in the long run. Imagine what you might spend $279 on over the next three months. Even small and supposedly cheap things add up (a $12 pair of shoes here, a chocolate bar there). Make an investment in yourself and in the life you’ve always wanted to have.